INDUSTRY.co.id - Jakarta - In order to increase market share in India, which is the fifth largest car market in the world, Toyota Motor Corp. and Suzuki Motor Corp have agreed to share the model of vehicle and mutual car production. Quoted from Reuters, Suzuki will later supply gasoline and hybrid vehicles Baleno Hatchback and compact SUV Vitara Brezza to Toyota. While Toyota will produce Corolla hybrid for Suzuki, according to the company's announcement. Analysts say the move will help Toyota expand its presence in India while boosting sales. "By reselling the slightly changed Baleno and Vitara, Toyota can improve its distribution network and move more towards expanding its market share," said Janet Lewis, head of Asian transportation research from Macquarie Securities. The manufacturing process in India is scheduled to begin in mid-2019. 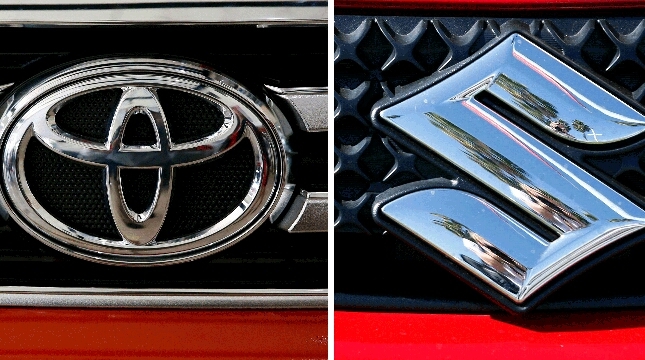 Under the deal, Suzuki's vehicles will be renamed to Toyota cars, while Toyota vehicles will use the Suzuki brand. Meanwhile, Toyota's spokesman declined to provide details on the production figures. However, the Nikkei reported that Toyota will supply about 10,000 vehicles to Suzuki, while Suzuki will produce up to 50,000 units per year for Toyota. An increasingly deep partnership between the two automakers opens the opportunity for Suzuki to use Toyota's research and development (R & D) center to develop low-emission vehicles and self-driving cars. The two Japanese automotive companies are also planning to introduce electric cars in India in 2020.